Instead of letting European leaders come up with somebody to fill the post, members of the European Parliament said they would instead make the pick. Whichever group in the parliament had the most seats would see its bloc’s leading candidate (known as the Spitzenkandidat) assume the post. This, they argued, would introduce democracy into the process, help build pan-European political awareness, and arrest an alarming slide in voter turnout. Unfortunately, TV debates featuring the various Spitzenkandidaten garnered viewing figures that would embarrass an episode of Luxembourg’s Got Talent. And, once the election was over, members of the European Parliament demanded that the Spitzenkandidat of the center-right bloc, standard bearer of the status quo and former Prime Minister of Luxembourg Jean-Claude Juncker, be given the powerful European commissioner job – all in the name of democracy. The days and weeks since their decision was announced have not been pretty. British Prime Minister David Cameron immediately took a stand against Juncker, a move that went from hopeful to hopeless in as long as it took the German chancellor, Angela Merkel, to change her mind in the face of domestic pressure. One by one, Cameron’s erstwhile allies in favor of a reformed Europe appeared to do what Merkel wanted, and by the time the 28 leaders met in Ypres, Cameron was in a quixotic minority of two, along with Hungary. The choice of Juncker is a disaster for every country. Cameron is the most obvious casualty. His truculent opposition to Juncker turned the whole debate into an argument between the European project and those tiresome rejectionists across the Channel. His tactics were naïve, he ended up being deserted by potential reformist allies like Sweden and the Netherlands, and his stand won’t have helped his future relationship with Juncker. This matters because Cameron has promised an in-out referendum on Britain’s EU membership if he wins the next election, and was no doubt hoping to use this leverage to secure some vital reforms to the European Union before then. Instead, despite some domestic admiration for his stand, he has pushed Britain closer to the exit door. This alarms the other pro-reformers. An EU without Britain will be less likely to change its ways, and the center of gravity in the Union will shift southwards. With this in mind, reformist countries are trying to pick up the pieces and find a way to rebuild bridges with Britain, especially as most other countries were just as reluctant to see Juncker get the top job as Britain. What unites this group with those rather happier to see Britain fail (think France and its allies) is a deep unease that the whole affair was decided, in effect, by Germany. In fact, the reality is that the Juncker affair was a naked display of German power. 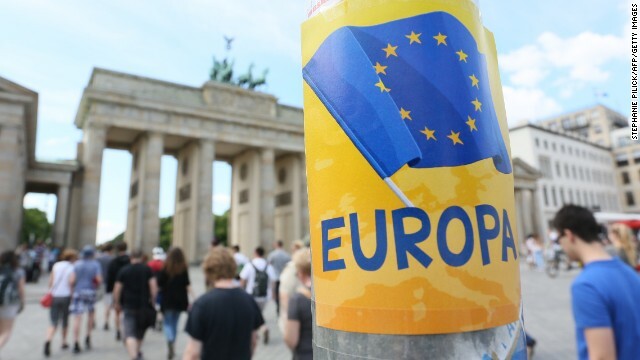 True, the euro crisis always underscored the importance of Berlin. But this episode has made this all the clearer, while at the same time exacerbating frustrations already evident among southern European nations who largely blame Germany for forcing austerity on them. In short, the EU has now seen a boost in power for a European Parliament that seems to love accumulating power in Brussels, the filling of a top job with an old-fashioned proponent of something like a United States of Europe, and increased the prospect of Britain heading off into the sunset. And while Cameron and Merkel might come off worst from this series of events, growing disillusionment with an increasingly out of touch European leadership threatens to undermine the whole project. The dark days of the euro crisis prompted many critics to question whether the European Union could act as a coherent and responsive entity. The events of the past few weeks have only strengthened their case. This could be the greatest news for Europe in a very long time. Then again, the wimps who now lead Europe could find a way to get together in order to keep things the way they are. The problem is not EU or Brussels. The problem is hostile elite in Brussels who are waging war on Europe with mass 3rd world immigration, financial parasitism and cultural marxism. The problem is with the EU member countries themselves. They ran up excessive debt with the help of their neighbors credit rating. Now that the bill has come due they can no longer monetize the debt by devaluing their currency because they share the same currency with everyone else in the EU. Add the fact that many countries simply will not stop protecting (subsidizing) their favorite industries and we see all this mess about leaving/reforming the EU. Message to the EU member states: There is no such thing as a free lunch. After she butchered the Paul Revere story, I can't help but wonder what Moron Supreme Sarah Palin thinks the Fourth of July is all about. Nothing less European as this. The question is more simple: Britain must go out from the EU, for its and EU benefit. The respective Europe's visions can't be more opposite. The real problem is that Britain has not yet decided what it will make after that, i.e. which relation it want to assume with the EU after the departure (as the one of Switzerland or Norway/Iceland or Turkey). Instead it still dreams to shape the EU at its image and rassemblance or to remain in the EU (in the rights) without being in the EU (in the duties). That must stop. Once and for all. 41 years of childhood is enough. Oh god no. Another American journalist who regurgitates the UK press which is idealogicaly Eurosceptic and lacks very few actual permanently based Brussels correspondents. Juncker is not bad for the continent – that's why 26 out of 28 countries back him and he has a full majority in parliament as well. Go and spin Number 10 press lines somewhere else. Hahaha, very well said, I couldn't agree more. Hey, Germany just beat the crap out of Brazil, in Brazil, in the World Cup semi-Final........... so at least them Europeans can do ONE thing right.......... play soccer.......... Ha! Ha! Ha! Cameron's opposition to Juncker's nomination is that not only is Juncker an out-and-out Eurocrat, who may baulk at carrying out reforms, he is also favoured by the European Parliament. Cameron doesn't like the idea of letting the EP have too much power, as it would undermine the power of national parliaments. He wants to retake some power back to Britain, which had been given away to Brussels. Its not national parliaments that loose the power, its the national leaders. If you look the actual decisions of the parliament(mostly when they decide to block something) you will find that most people throughouzt europe agree with that. Its the decision coming out of the council(and sometimes the commission), that upset the people. Its the UKs own fault, Cameron decided to leave the center right EPP because he pandered to the anti-euros in his own party (and no theyre not really critics, because they dont have an alternative all they want is to get rid of it all and go back to nation states). Had he stayed he could have influenced the choosing of their prime candidate. In germany it was made very clear that now, finally the voters get to decide about who heads the commisssion. The same people in the UK and other countries that are now upset about the fact that juncker got the most votes (plus the immediate support of all parliamentary groups except those on the right fringe) are the ones that complain that the EU is undemocratic. Why would the 80% that voted for proeuropean parties pander to the (less then) 20 % whose only goal is to destroy the union, not to mention that at least parts of those are anti-semitic and or general racicsts. European Socialism doesn't work in the long run? Quick, somebody fill our President in and hurry!! Germany is back in charge. They lost the war but won the economy.